A full run down on the events including; how to gain premiumisation, the impact of climate change, why arrogance in wine is so bad, the art of Toitu and much more. Plus a look at the Sparkling and Chardonnay Symposium in Gisborne. Chairman of NZW Board John Clarke reminds us all of our obligation to workers, and the consequences that will follow if we fall short. The go to man for so many viticiulturists, Dr Mike Trought has retired after 40 years of advising the wine industry. We looks at some of the highlights of his career. A job well loved THERE ARE so many pleasures of doing the job that I do. One is that I get to talk to a wide range of people, from different walks of life, all so enthusiastic about the role they play in the wine industry. People like Dr Mike Trought, who earlier this year retired after spending 40 years working within this industry. He arrived in New Zealand just five years after the first Montana plantings in Marlborough. And like Montana, he has played a significant role in the development and success of New Zealand wine. Then there’s Kirsten Searle, who is our Women in Wine feature this issue. From a banking role in the UK to owning an historic piece of Gisborne history, Kirsten has made a lasting impression. Or Patrick Materman, who for the past 29 years has worked for the same company, albeit the name has changed. Initially for Montana as a cellar-hand, Patrick now takes on the role of Global Winemaker for Pernod Ricard. Quite an honour, and one that will see him at the forefront of winemaking in countries like India. You may be surprised to hear his thoughts on the wines being produced already. 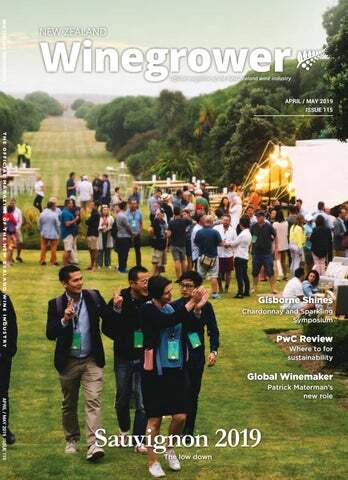 But the greatest pleasure this issue is to report on Sauvignon 2019. Held over three days, it was a cornucopia of information. And without being too back slappy (if there is such a phrase) it did reiterate just how significant the development of New Zealand Sauvignon Blanc is on a world scale. The event brought together people from all over the world, to listen or inform, to taste and discuss, to meet and catch up, and to fall in love with our flagship wine all over again. Being a part of something like Sauvignon 2019 is a privilege. Just one of the reasons I love this job so much. Published by Rural News Group Ltd under authority of New Zealand Winegrowers Inc. Unless directly attributed, opinions expressed in the magazine are not necessarily those of Rural News Group and/or its directors or management, New Zealand Winegrowers Inc. or its constituent organisations. Published every second month. One free copy is mailed to every member of the New Zealand Winegrowers Inc, the New Zealand Society of Viticulture & Oenology and the New Zealand Vine Improvement Group, and to such other persons or organisations as directed by the owners, with provision for additional copies and other recipients to be on a subscription basis. Joelle remembers Raymond Chan, a man who was beloved by all. There have been a few changes in the Nelson wine industry recently, as Neil points out. Asks the question, can social media influencers help wine? Power, cooling and heating specialists for wineries With over 20 years’ experience working with wineries throughout the Pacific region, Aggreko is the world leader in rental power and temperature control. We can help you make your vintage a success by: • Controlling fermentation • Providing additional power when needed • Providing temporary cooling for cellars or other critical functions We are on call 24 hours a day, seven days a week to serve you. Friday 15 March 2019 is a date that will live long in the memory of New Zealanders. reality, New Zealand Winegrowers has decided to place $30,000 into a newly created Communities Fund, which it will use to promote and support cross-cultural understanding and relationships within our winegrowing communities. Giesen family celebrates son’s record-setting Transatlantic journey NAUTICAL HISTORY was made by Isaac Giesen, son of Giesen Wines co-owner Theo who became the first Kiwi to row solo across the Atlantic Ocean during the 2018 Talisker Whisky Atlantic Challenge – all in support of a cause close to many New Zealanders’ hearts. charities dedicated to treating and raising awareness of depression. NEW NAME, SAME GOALS THE NEW ZEALAND Winegrowers Research Centre Ltd will now be operating under the name Bragato Research Institute, (BRI). Building on the legacy of Romeo Bragato, the plan is to honour his work through world-leading research and innovation to support the continuing success of the wine industry. FIRST PLATINUM SPONSOR FOR WOMEN IN WINE CONSTELLATION HAS contributed $20,000 to the Women in Wine initiative, making them the first wine company to achieve the platinum sponsor status. The New Zealand Winegrower’s initiative was launched in 2017, and has since set up regional hubs in all the major winegrowing regions A mentoring programme began last year, and the second wave began in February, with 11 mentors working alongside 11 mentees. Constellation says they support the initiative; “because diversity of thought brings creative solutions and it can only strengthen the industry”. SCHOLARSHIP AWARDED ZEPHYRS AND DAFFODILS THE DEVELOPMENT manager for the Bragato Research Institute, Tracy Benge, has been chosen as a recipient of the 2018/19 Agricultural and Marketing Research and Development Trust (AGMARDT) Leadership Scholarship. Benge will use the $15,000 scholarship to develop her leadership and governance skills as she undertakes a number of firsts for the New Zealand wine industry. These include delivering a programme that looks at adaptation to climate change in New Zealand viticulture and establishing a new research winery in Marlborough. IT MAY not seem like a match made in heaven, but for Marlborough wine label Zephyr, the chance to pour the wine at the premier of the movie Daffodils seemed very like it. The movie, unbeknownst originally to Zephyr winemaker Ben Glover, stars a 1965 Zephyr mark III. Given the Glovers own exactly the same vehicle, even in the same light green colour meant there “was no backing out”, Ben says. So not only did he approach the film makers about pouring their wines at the premiere, he also delivered members of the cast and crew to the red carpet, on Valentine’s Day. chunk of our cellar for the first time, as well as giving the winners a taste of some of the new wines under our Cellar Collection label that are only available via our Cellar Door in Marlborough. IN THE last issue of NZWinegrower it was mentioned that New Zealand wine was celebrating 200 years since the first vines were planted in this part of the world. In the story it was mentioned the first vines were planted in 1818 by Samuel Marsden. It should have read 1819 – with this year being the 200th anniversary. Apologies for the mistake. building due to be finished in June, Te Kano plans to open the new cellar door in September. Foley Family buy Mt Difficulty THE OVERSEAS Investment Office has granted approval for USbased Foley Family Wines to purchase the renowned Central Otago wine estate Mt Difficulty. At a cost of $52 million, Foley Family Wines has bought close to 70ha of freehold land, 110ha of leasehold land at the Bannockburn vineyard, winemaking facilities and the cellar door and restaurant. They will continue with plans already underway, to expand the restaurant and cellar door. There are two labels in the Mt Difficulty portfolio, Mt Difficulty itself and Roaring Meg. This is the first Central Otago purchase for Foley Family Wines. They already have interests in Martinborough and Marlborough. RACHEL TAULELEI and John Ballingall are the NZW Board appointed Directors for the next two years. The appointment follows a process which considered the needs of the industry and the Board over the next period, particularly in terms of implementation of the 2018 Strategic Review outcomes. Rachel, from Kono Beverages, will be well known to many industry members as she has already been on the Board over the past two years, and previously served on the Pinot Noir organising committee. John Ballingall, who lives in Wellington, will not be as well known to growers and wineries although he has spoken at the Bragato Conference and other events over the years. John is currently a partner at economic consultancy Sense Partners, is the former Deputy CEO of NZIER, and has worked with NZW on industry economic impact assessments and other projects over the past decade. This is the first time a Director from outside the industry has been appointed to the Board. John replaces Katherine Jacobs of Big Sky Wines on the NZW Board. The New Zealand Winegrowers Global Events Programme outlines the user-pays global events activities planned for 2019. Please contact the New Zealand Winegrowers Global Events Team on events@nzwine.com or (09) 306 5643 to enquire about last minute registrations for these events. Wine Flight they were treated to wine and food matching. Given the superlatives that were resounding around the cabin, this tantalizing taste of New Zealand overall, was a huge winner. Arriving in Gisborne for the Chardonnay and Sparkling Symposium, the journey was well from over. For the first time ever, a New Zealand wine tasting occurred on a Marae, and the welcome the international guests received was even warmer than the high 20’s temperature. While it may appear our wine industry has taken the world by storm overnight – something that celebrates it and includes 100 international influencers, doesn’t. It was a seamless week of education and promotion. And out of that week came some fascinating insights – which we will look at closely over the next few pages. NZ’S NUMBER ONE SELLING GRAPE HARVESTER. DELIVERS THE FINEST BERRIES TO THE WINERY. Easy cabin access with optimum driver comfort and panoramic field vision. ‘Easy power’ automatic management of the new Tier IV engine speed according to the hydraulic demand provides fuel savings of up to 43% per acre. Selectiv’ Process is the preferred harvesting method of premium winemakers, delivering a near perfect sample with unwanted green waste left in the field. An appealing 232 hectare property with a huge water storage dam and an estimated 110 hectares plantable is offered to the market for the first time. With an unrestricted consent to take 300,000Âł from the secure Starborough Creek catchment, and a 250,000mÂł capacity earth dam having just achieved final sign off, your insurance policy for future seasons secure harvest is already in place. Other large water storage sites have been identified for potential future development on site. Extensive climate, soil viticultural and vineyard development information available to qualified buyers. Some of our favourite posts We’re toasting the highlights of #sauvignonnz and #nzwine. Discover these posts and more from @nzwinegrowers on Instagram. Tag @nzwinegrowers and #nzwine in your wine related images and we will feature some of the best posts in each issue. Social media coverage We wanted to highlight the stylistic diversity and regional expression in New Zealand’s Sauvignon Blanc. Our social media goal was to increase engagement and reach a wide audience through our influencer guests. We encouraged lifestyle media to post on Instagram, and Instagram stories – a new format since Sauvignon 2016. The engagement (likes and comments) on the top 10 identified influencers posts in two weeks was 47% higher than the engagement on NZ Winegrowers’ channels for the entire year of 2018. Top 10 social media influencers had a combined global audience of: Twitter: 229,343 Instagram: 59,453 The total number of likes and comments on their #Sauvignonnz posts was: 40,495 In addition to this, each influencer was posting between 3-15 Instagram stories a day, which have a higher open rate than posts, although we can’t access analytics on them. These would have been seen by a high percentage of their followers. @veroniquerivest Welcome to New Zealand!! @katywine Great start to the #sauvignonnz celebration last night for #teamnautilus! @takeittocourt Caption this album cover photo with our new band name. @superwinegirl Today I’m tasting aged Sauvignon Blanc from NZ, chilled in a vintage bathtub! @melwinebrown Marlborough you are truly one in a million. Thanks for solidifying everything I know about your outstanding region and enhancing my perspective of your incredible culture with integrity and class. @amylieberfarb Don’t listen to what they say. Go see for yourself. New Zealand. We should all travel more, especially to destinations like this. To top it off, there are some amazing wines created here, so... the only question that remains is... What are you waiting for?!? 10. @saintclairwine What a morning at New Renwick Road 11. @viannawine Day one of the international @sauvignonnz has got off to a great start! The ‘who’s who’ of the wine world are all here #sauvignonnz #nzwine #newzeland 12. @debrameiburgmw New Zealand is all about friendly faces and outdoor spaces. Lovely to see this gorgeous, friendly face from home of course. 13. @sauvignonnz International Sauvignon Blanc tasting at Sauvignon NZ 2019 14. @sauvignonnz PLACE! 15. @candicewinechat Sommit crew at the Blanc Gala. Prevent minor wounds becoming a major problem Protect susceptible minor vine damage from infection with MegaStar fungicide spray Thousands of secateur cuts per hectare can now be protected from Dieback (Eutypa lata and Botrysopheria) by post pruning spray application of Megastar fungicide. Use Garrison Rapid pruning wound dressing for larger cuts. South Island’s category 1 & 2 boutique wine label specialists Our reputation has been built on serving South Islanders for over 40 years. From our Christchurch plant we have been providing award winning, fully embellished labels specifically for the South Island boutique wine industry. Talk to us today about our proven innovative embellishments - True Highbuild, Sculptured Foils & Arctic-Ice anti scuff water resistant coatings. stressed and hot at a time in January, February and March that causes real damage to the delicate aroma flavour and acid compounds that define our wine styles,” Smith said. “My experience is stressing Sauvignon Blanc during that period is almost the worst thing you can do if you want to make the wine styles we want to make.” Action needs to be taken now, to ensure we are ready to deal with the issues that we are going to be facing in a few short decades. “There is only one thing that the leadership of our industry should be focused on and that is investing in research to minimize the risk of climate change,” Smith said. He had a number of ideas on just what types of research should be undertaken. A wow moment. Hold your nose and taste. Without smell, taste is negligible. Tim Hanni MW in full flight. percent of indigenous forests have been destroyed. “And we are still knocking down 20,000 hectares a day. We lose about 33,000 hectares of land a day to desert.” In terms of oceans, he said we are pulling close to 175 million tonnes of fish from oceans every year, and by 2050, it is predicted there will be a total collapse of fish stocks. recycled. We thought, well clearly we can’t be doing this for the next 100 or 1000 years, so we started experimenting.” Through all these moves, the Toitu of the business also had to be considered. Thorpe listed three of the biggest surprises that have come to the fore. “When we changed to an organic spray programme, we halved our costs and got better control. Matt Kramer and Sam Harrop MW. “Sauvignon becomes the most remarkable complex, really profound vehicle for the expression of terroir and of the producer. Is that not what a great wine is?” Emma Jenkins MW “64.4 percent of all bottles of New Zealand wines are sold in the UK on promotion. To me that is an alarming figure.” Justin Howard-Sneyd MW “(You) are the most preposterous, unpredictable success story in the history of modern wine, bar none. You’ve caught lightening in the bottle in the last 40 years.” Matt Kramer Justin HowardSneyd MW. • Safe and effective supplementary nitrogen supply. • Improves flower buds in the following season. to Chardonnay. There was a break for lunch, which took the guests to Waikanae Surf Club, prior to the Sparkling Master Class. Again, a number of styles were up for interpretation. Rosé, Blanc de Blanc, Blends and new/different styles. The finale for the symposium and for many of the overseas guests, was dinner at the historic Opou Homestead. With temperatures climbing to near 30, there was plenty to cool down those attending, including dozens of crayfish, that disappeared as if a flock of gannets had descended. Gisborne may be much smaller than Marlborough, but when it comes to hosting events such as this Symposium, it punches well above its weight. Talk to us about our full range of foliar and fertigation options to set up vines for the best start in spring. Discuss our comprehensive and competitively priced range of pruning gear with your local store or Technical Advisor. We have even sharper deals this year. Make early enquiries for all development inputs to ensure timely supply. For all the autumn solutions you need, talk to the Farmlands Horticulture team today. A unique opportunity Eighteen sommeliers from around the world took part in the New Zealand Scholarship known simply as Sommit™ in January this year. They had the opportunity to indulge in the wide range of varietals New Zealand produces, away from the eyes of the media. With our own Stephen Wong MW and UK’s Ronan Sayburn MS as the presenters, much was gained by all participants. Sayburn tells us more about this unique event. You were involved in the Sommit™ as a participant in 2016. What did you personally get from the event? As with all trips to New Zealand, a great overview of the country and current wine scene - but importantly meeting the people, tasting the food, feeling the culture, seeing the geography and climate and networking with wonderful g r o u p o f i nt e r n at i o n a l sommeliers. Why were you involved this year? Cameron Douglas MS, along with Stephen Wong MW, who normally hosts was unavailable. As I am a great fan of New Zealand and its wines I was asked to step in for Cameron. In your experience, how unique is this event and why? A trip to New Zealand is always special. It’s a small country with a great presence on wine lists all over the world. candidate work with. From Europe, Asia and the USA, from fine dining to casual dining, all needs are different. Is there anything New Zealand wine producers should be considering, that you picked up during the Sommit™? If you make natural wine - make sure it’s not spoiled with aromas that classically are observed as faulty - high volatile acidity, high brettanomyces, high oxidation - make balanced wines. New Zealand wine makers are making some natural wines but the movement is slow. Keep Sauvignon Blanc in a higher bracket of quality - regional variation within Marlborough, single vineyards, barrel aged wines, What do you expect the outcome of this to be, for the individuals participating. An experience of a lifetime! THE LATEST summer has once again highlighted the fragility of relying on river sources for irrigation in Marlborough. In late January the Southern Valleys irrigation Scheme was shut off, and both Class A and B consents on the Waihopai and Wairau Rivers were also closed off. It left grape growers relying on the water for irrigation high and dry, unless they had other forms of water storage to use. Some had to resort to trucking water in to keep their vines alive. With climate change, these periods of intense dry are only going to occur more frequently. Which means growers need to be looking for ways of conserving water, without impacting on the resulting wines. One of the Sauvignon Blanc vineyards in the deficit trial, shows the difference in canopy and undervine weed growth. Deficit irrigation vines are on the left, control vines on the right. World-class wine science and viticulture Our graduates have progressed to win prestigious awards and hold many senior industry positions both within New Zealand and overseas. Reading the magazine online has never been easier. says the fundamentals of SWNZ including its coverage of nine sustainability pillars, and the fact that it is based on internationally reputable standards, remain sound. Balancing these fundamentals with the need for simplification and focus will ensure the New Zealand wine industry upholds its high international sustainability reputation.” The full PwC report on Sustainability can be viewed on the nzwine.com website, in the members section. » Available from leading Horticultural Suppliers. THE DATA revealed in the latest Deloitte, ANZ and New Zealand Winegrowing industry benchmarking survey shows 2018 was a pretty good year for all tiers within the wine industry. It is only the third time in the 12-year history of the survey, that all categories from the smallest to the largest, recorded a positive profit before tax. in new plant and equipment technolog y. Driving that investment, is improving quality within the winery itself, as more and more look to cut costs of production. The second technological driver is productivity within the vineyard. And it is paying off. “Survey data indicates a positive link between innovation s p e n d i ng an d re tu r ns .” That finding is supported by an earlier ANZ report that focused on innovation within the New Zealand manufacturing sector. “It found a correlation b e t w e e n i nv e s t m e nt i n innovation and the achievement of productivity gains. The data showed those who invested in innovation had a stronger return on invested capital than those who didn’t and sales revenue grew faster.” But the report does ask an important question. “I had been working for Deutsche Bank in London, which was pretty boring, so I wanted something more fun.” calls it, is planted in aromatics, Viognier, Gewürztraminer and Pinot Gris. Chardonnay, Chenin Blanc, Pinot Noir and Merlot come from other blocks. “We have been quite site specific in picking our sites because they are good for the varieties we want to showcase. The road to 2019 hasn’t been an easy one – especially given the fact they bought just before the global financial crisis hit hard. • YAN – Yeast Assimilable Nitrogen • Reducing and preventing fruit split • SAFE – compatible with most other applications • EASY to use • NON-Phytotoxic – so reduce tractor runs, fuel and labour • Preventing fruit susceptibility to disease • Lignifies canes and prevents root disease issues • Great rain window – just 4 hours. AVAILABLE AT ALL GOOD RETAILERS. INSIST ON THE BEST. Q&A WITH KIRSTEN SEARLE What do you love about the NZ Wine industry? What’s not to love, with the diversity of regions and wine styles we can produce set amongst stunning landscape! I love my job – great wine, great food, I get to travel and tell people about our story and region. What is the vintage that stands out most to you? I still think the 2013 will go down as the best across the board for our region. Who has been your greatest mentor? My dad – he taught me to be determined and fiercely independent. What is the best piece of advice you have been given? Don’t sit back and wait for things to come to you. You have to go out and grab every opportunity that comes your way. What is your advice to any woman thinking of entering the wine industry? Go for it! It has been kind to me and a great way to spend the last 20 years but it is what you make of it and the effort you put in! Kirsten with baby Gabrielle, planting vines. One property company - every property expert. Experience the full resources of Colliers International and unlock a world of expertise to accelerate your success. One of China’s most followed wine influencers, Lady Penguin. Advisory and a Master of Wine, at the International Sauvignon Blanc Celebration in Blenheim in January. Social media and the internet dominate Asian markets and women influencers, in particular, play a critical role in forging status in China’s wine trade. HE WILL be long remembered for his love of wine, his desire to democratise it and the diverse tastings he pioneered in Wellington in the 1990s. Some will recall his precision and accuracy on his controversial website. Others will remember his sense of humour and connections in the wine industry. But one of the strongest memories that the name Raymond Chan will evoke is courage. Raymond passed away at home on Sunday 11 February this year. His partner Sue Davies was by his side. He continued to cycle daily, travel to tastings around the country and publish wine reviews, until late into his journey with cancer. Raymond became interested in wine when he was 23 years old, studying psychology at the University of Otago and working at his family’s new business, Chan’s Garden Restaurant, in Dunedin. Like many restaurants back in the day, Chan’s was solely a bring-your-own. New Zealand varietal wines made from Vitis vinifera grapes were something of a novelty at the time. And Raymond’s family was not familiar with wine. It didn’t take long for them to become hooked on its nuances and the dynamics of the fast developing New Zealand wine industry. Raymond once said he was amazed by the early New Zealand wines and their names sounded so exotic that he and his brother, Norman, both became professionally involved in the industry. There’s simply no contest for efficiency. Built like no other, this high quality, high performance tractor can be seamlessly guided through orchards or vineyards with absolute precision. With technology that outstrips any rival on the field the Fendt 200 S3 Series might be our be our smallest tractors but they still pack a big punch. Contact your local Fendt dealer for more information. TOTAL EFFICIENCY. ANYTIME. ANYWHERE. Freecall 0800 825 872 or visit fendt.com.au to find your local Fendt dealer. COMPACT AND PACKED FULL OF FEATURES. MF 3700 SERIES 75 – 105 HP Designed for ultimate efficiency and low cost of operation the MF 3700 Series helps you to get the job done on high value speciality crops like orchards and vineyards. With dependable and straightforward technologies, these tractors combine great visibility with next generation common rail engines and electronic hydraulic control. Run a tight ship in tight situations with a compact unlike any other. culture to marketing. Speakers from as far away as the US, Chile, Italy and Australia will share the stage with New Zealanders who have been practicing organic or biodynamic principles for a number of years. Not all come from small family owned or boutique wineries, McIntyre says. A number of overseas speakers will vouch for the fact that organics is a viable option on a large corporate scale. “That will be part and parcel of the conference. No matter what size you are as a grower or winery, there are so many things that you can do that are viable for your business.” Marketing to millennials is a core tenet of the upcoming conference. As McIntyre says, they are the future wine drinkers and organic and biodynamic producers have something special to offer them. nothing of a similar ilk held in Australia, and as in past conferences, our Australian counterparts are eager to take part. “One of our international speakers is an Australian winemaker who attended the 2017 conference, and was so impressed that she wanted to be involved this year and share some of her own learnings and experiences.” Perhaps one of the highlights for everyone, will be guest speaker Ruud Kleinpaste, known as The Bugman. With a theme of what can we learn from bugs and nature, the irrepressible Kleinpaste is sure to connect with his audience. Tickets for the conference are now on sale. Winemaker of the Year at the 2019 Royal Easter Show Wine Awards, Nikolai St George from Giesen Wines. MORE HONOURS Two individuals were inducted into the New Zealand Wine Hall of Fame at the Royal Easter Wine Awards. Terry Dunleavy, a trustee of the NZ Wine Hall of Fame Trust stood in for its chairman to present certificates to 2019 inductees, Kate Radburnd FNZW, and Sue Davies (centre), who accepted the posthumous award for Raymond Chan. Slug-em is a fast-acting, convenient liquid formulation containing natural tea saponin extracts. Slug-em removes the ‘slime’ layer from molluscs and leads to rapid dehydration and death, yet has an excellent safety profile for other species and has no withholding period. Slug-em is registered pursuant to the ACVM act 1997 No. P008915 and to the HSNO Act 1996 approval code HSR100516. There is no need to introduce Dr Mike Trought when he appears as a speaker at a wine conference. His name has become synonymous with wine science. From a researcher, to a lecturer at Lincoln University, to a viticulturist for Villa Maria, back to a wine scientist based in Marlborough. Just about every wine industry accolade has been behooved upon him, he has been an integral part of the science behind New Zealand wine and now after 40 years, he has retired. I for one don’t know what I will do without Mike at the end of a phone to explain the ins and outs of the wine industry today. But rather than attempt to profile this great man, I thought it was better that he sum up his life of wine science. The following is from his retirement speech, at the end of January. change vine phenology and composition. The work we did on vine shaking. Initially undertaken to manage yields, it is now widely used to manage botrytis. Possibly the biggest step jump in Botrytis management in 10 years. Yield prediction. My phone runs hot in June as viticulturists ask for my prediction in the coming season. After 2008 I seemed to spend hours on the road talking to growers about the processes and physiology of grapevine yield development. Science is about trying to anticipate the future. Today’s problems have to be solved with today’s information. Tomorrow’s problems have to be worked on today. The New Zealand wine industry holds a special place in the world, which we are all passionate about. Our industry is like a grapevine, it needs to nurtured and cared for to grow and remain healthy, for all great wines start in the vineyard. Dr Mike Trought also paid tribute to the many people he had worked with over his 40 years in the industry including; Damian Martin, Bala, Craig Jensen, Andrew Naylor, Richard Hunter, Jeff Bennett, Amber Parker and Mark Greven to name just a few. Plus his wife Marion. flies) be found, the response will increase. This involves spraying host trees in the Controlled Area with bait laced with fipronil, a broad-spectrum insecticide which will kill female fruit flies (as they aren’t attracted to the traps). Fruit from trees sprayed with fipronil is unsafe for consumption. Biosecurity New Zealand works with industry partners on the Fruit Fly Council to decide on the level of response and actions taken. The Fruit Fly council is made up of representatives from those industries party to the Fruit Fly Operational Agreement (OA), established under GIA. New Zealand Winegrowers is not a signatory to the Fruit Fly OA, but we do monitor any detections closely and put out updates and advice for members in affected areas. small plastic buckets with holes in the sides. A pheromone lure and sticky insecticide strip are hung inside the bucket. If male fruit flies are present in the area, they are attracted to the pheromone and enter the trap. They stick to the strip and are killed by the insecticide. When the trap is checked, the specimen will be collected and sent for identification at MPI’s lab. Because a pheromone lure is used, the traps will only catch male fruit flies. A breeding population is confirmed by finding larvae in infested fruit or sighting of female flies on host material. Fruit flies have been detected in New Zealand before, including in 2015 when a breeding population was found in Grey Lynn, Auckland. This population was eradicated, and New Zealand Winegrowers is confident that the response activities will result in successful eradication should this occur again. If you think you have seen an adult fruit fly, fruit fly larvae, or anything else unusual, don’t forget to Catch It, Snap It and Report It to the Biosecurity New Zealand hotline on 0800 80 99 66, and get in touch with the NZW Biosecurity team (biosecurity@nzwine.com). NEW ZEALAND’S Brancott Estate ambassador, Patrick Materman, has long made his mark on the domestic wine scene. Now he is about to make his mark on the global scene, having been appointed as Pernod Ricard’s Global Winemaker. Taking on the role last November, Materman will work with the corporate’s winemakers in countries like the US, Spain, Australia as well as here at home in New Zealand. He will also work alongside some of the corporate’s smaller entities in Argentina, China and India. The latter being a country that fascinates him, he admits, as it establishes its own wine industry. “India reminds me of the early years in Marlborough, with lots still to learn to reveal the potential of their vineyard sites,” he says. Although the viticulture couldn’t be more different. “You are dealing with tropical viticulture, so the vines are evergreen and you are pruning them twice a year, then dropping crop so there is no crop over the summer and autumn months. Essentially they prune in September for their actual crop, which comes in in March (spring). That’s because it is cooler and drier at that time of year, without monsoons.” India is probably not the first place that comes to mind when people think about purchasing a bottle of wine, but Materman says some very smart Chenin Blanc and Shiraz are coming out of the wine growing region of Maharashtra, around 200 km north-east of Mumbai. The worldwide standard practice for improved soil structure and drainage. Huski wine cooler ABOUT A year ago I was contacted by Simon Huesser who had attended my wine course while working at Villa Maria. After some overseas travel Simon returned to New Zealand and developed a range of insulated stainless-steel products to keep beer cold and coffee hot. I’ve trialed the Huski Beer Cooler and Huski Short Tumbler (for hot coffee or cold beer) – they all work well. Simon wanted to develop an insulated wine cooler and had developed a prototype that would fit most, but not all, wine bottles. There was a little fine-tuning to do but I was able to test-drive the prototype and was impressed with its appearance, ease of use and ability to keep a chilled bottle of wine cool for several hours. Check out the chilling test on the Huski website https://www.huski.co.nz/blogs/news/ huski-wine-cooler-preliminary-product-test and you will see that the Huski Wine Cooler maintains a temperature of 6 or 7oC for a couple of hours than rises to around 8 oC after four hours and 10 oC after six hours. A STORY I wrote regarding Wine Scandals printed in the last issue of NZWinegrower, attracted a response from a friend of mine (Dr. Josef Schuller MW – Director Weinakademie Österreich Seehof), who runs a wine school in Austria. It seems that the facts may have become slightly distorted after 33 years. Here are some of the details he sent me, and I reprint them now to set the record straight. “Aside from all the tragic criminal dimension and the following economic and image crisis I think you are fully aware that this scandal triggered all the positive developments in Austrian wine we saw in the past 30 years, in fact, also my Austrian Wine Academy that I founded in 1989 would not exist without the wine scandal. Important! !NOBODY died and nobody was physically harmed by the substance. The estimate was that the lethal dose of a ‘glycol wine’ was about 25-30 litres at a time….. It was in fact not ‘anti-freeze’, the substance used as antifreeze in cars is ethylene glycol not diethylene glycol. Some journalist had the idea to choose the catchy term antifreeze. There were no wine growers involved or sentenced but criminal wine merchants who altered cheap wine to ‘Spätlese/Auslese’ style wines and shipped it in tank to Germany where it was bottled and sold. So the image of ‘two Austrian wine growers one on the southern and one on the northern side etc…’ is wrong and misleading.” I apologise for the incorrect details given in the previous article. The beautiful Falcon Ridge, developed at a cost of $12m, has removed all its vines – with owner Alan Eggers deciding winemaking wasn’t for him. Mentors selected AS THE second Women in Wine mentoring programme gets underway, the programme has grown, with 11 mentors announced earlier this year. Each woman will team up with a younger member of the wine industry, helping to provide a skill set to help them move forward confidently. The 11 mentors are; Nat Christensen - Marlborough, Kate Radburnd – Hawke’s Bay, Tracy Taylor - Marlborough (each of these were part of the pilot programme in 2018), Lynnette Hudson – Auckland and North Canterbury, Fiona Johnman – Central Otago, Spring Timlin – Marlbrough and Central Otago , Jane De Witt, Aukland/Gisborne/Hawke’s Bay and Marlborough, Elise Montgomery, EIT Hawke’s Bay, Lesley Boon Marlborough, and Cath HopkinArcher - Martinborough. The women in Wine Mentors for 2019, at their first get together with mentoring professional Fiona Fenwick and national coordinator Nicky Grandorge. Control your own destiny Bottle - label - pack on site! with a choice of mechanical or hydraulically offset headstocks. The dynamically-balanced 194mm diameter mulching rotor features 150mm wide, club-style hammers, each weighing 1.2kgs and arranged in a helical pattern on the rotor for smooth running at speeds from 1700 to 2100rpm. The lateral driveline incorporates five Kevlar reinforced drive bands, offering positive transmission of tractor power, but also giving a degree of shock protection in difficult conditions. A floating headstock, combined with an adjustable rear roller assembly is said to ensure accurate ground following, so creating a consistent finish in the vineyard. The 3-metre machine has a maximum offset of 189cm, dropping to 141cms on the 2.1metre machine. An integral holding rake at the front and upper quarter of the hood helps re-cut material to a smaller particle size while an optional collecting rake is said to refine the process even further. Your choice for sustainable farming and superior yields! NZ Winemaker of the Year RENOWNED ATA Rangi winemaker and co-chair of Pinot 2021, Helen Masters was named the Gourmet Traveller Wine Magazine’s New Zealand Winemaker of the Year. Masters was one of six outstanding winemakers nominated, the other five being Dr Andrew Hedley of Framingham, Kevin Judd of Greywacke, Jen Parr of Valli, James Healy of Dog Point Vineyard, and Peter Cowley of Te Mata Estate, who was nominated for the second year in a row. Though running in Australia for 20 years, this 2019 award is only the second time it has been conducted for New Zealandonly winemakers. Three other awards were made in addition to N.Z. Winemaker of the Year. Rudi Bauer of Quartz Reef received the ‘Leadership Award’, Ivan Sutherland of Dog Point the ‘Viticulturist of the Year’, and Peter Cowley of Te Mata received a special one-off ‘Lifetime Achievement Award. The Twin Rotor Collard® Defoliator removes leaves from both the outside and the interior row, allowing for selective leaf removal, better aeration and penetration of spray treatment. The twin-rotor works with lower air pressure and the two rotors increase the particle size being removed, minimising crop damage. Front and rear mount models are available. CONTACT US TODAY TO FIND YOUR LOCAL DEALER! The brand new P3200X Profilmatic® Rotary Trimmer is the fastest trimming system available. The new design has significantly improved driver visiblity whilst still maintaining effeciency. It produces an exceptional cut quality, at high ground speeds and in vigorous growth. Supplier of quality vines, certified and tested to the NZ Grafted Grapevine standard. Villa Maria has been named New Zealand’s Most Admired Wine Brand for five consecutive years and been in the World’s Top 10 placing fourth in 2015, eighth in 2016, fourth in 2017 and eighth in 2018. Bay at 21 and Oyster Bay at 32. The top two Most Admired Wine Brands were; Australia’s Penfolds (1st) and Spain’s Familia Torres (2nd). Pera-Pellenc are world class designers and manufacturers of winery equipment, from hopper to press, as well as temperature controlled thermo treatment systems. Pera merged with Pellenc in 2014 making good sense in the eyes of the vine and wine industry. With more than 40 years of innovative experience together they help create the worlds best wines. the line. Quantities are small, to date, and the wines are made at Moana Park Winery where John Hancock also works as winemaker. Willy Hancock is a winemaker at Church Road Winery. From vineyard and orchard work to gardening, landscaping and municipal work, the new and completely redesigned and rebuilt 5DS, 5DV, 5DF and 5DF Ecoline series is the highly innovative specialist tractor that will surpass your exacting demands. Contact your local dealership today for more information on this amazing new tractor range. CHRISTCHURCH Power Farming Canterbury ..... 03 349 5975 ASHBURTON Power Farming Ashburton ............. 03 307 7153 TIMARU Power Farming Timaru .............................. 03 687 4127 DUNEDIN Power Farming Otago ........................... 03 489 3489 GORE Power Farming Gore ....................................... 03 208 9395 INVERCARGILL Power Farming Invercargill ........ 03 215 9039 * Normal lending criteria and conditions apply. Contact your local dealership for more information. In season and in demand employees with rights FINDING TEMPORARY labour may be tough, but it’s not the time to cut corners Although businesses may be frantically running through their contract agencies on speed dial, it still pays to keep an eye on the fundamentals of good hiring and good employment practice. Recent enforcement action by the Labour Inspectorate has highlighted one element of the risks – with a $127,000 fine imposed against vineyard contracting company Double Seven Services for failing to offer minimum wages and holiday pay. It may be obvious, but caution is appropriate when contracting with organisations which supply ‘gangs’ of labour. Growers also need to be aware that it is not always possible to contract out of employment obligations and risk. Current case law, and the potential introduction of specific ‘Triangular Employment’ legislation, may make the hirers of agency labour responsible for any legal failings, whether in connection with pay, accommodation, holidays or unjustified dismissals. We have seen individuals engaged by labour hire agencies but acting under the control of the business in which they actually work bringing legal claims against those businesses. the use of machinery and hot conditions during the most busy time of the year for growers creates readily apparent risks which need to be identified and addressed. We suggest that induction and training is crucial, as may be ensuring access to appropriate support for seasonal employees and putting systems in place to spot fatigue. Finding seasonal employees, sorting out their ability to work in New Zealand, ensuring that they are contracted in the correct way and that their entitlements are observed, training them and then managing their work safely. It requires significant planning and investment to get them and to get their engagement right. Some might legitimately query the level of effort and difficulty involved, and there are definitely ‘red tape’ issues where processes could be streamlined. But equally, the shortage of labour in a growing industry, and the need for common standards and templates to manage seasonal work efficiently, are matters which arguably require more attention and investment as a matter of business leadership and government policy – to attract talent and train it, and to set standards to protect the industry and its growth. Keep an eye on how New Zealand wine is performing both domestically and internationally. University of Auckland and Plant and Food Research (Various) Jointly funded by NZW and MPI Primary Growth Partnership (PGP) fund. Spray protocols to quantify and optimise spray deposits applied to dormant grapevines (trunks, heads, cordons and canes) Plant and Food Research (M Walter) Supported by MPI Sustainable Farming Fund as part of the Powdery mildew best practise project. 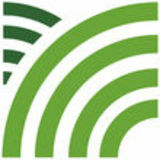 Plant and Food Research (M Walter) Supported by MPI Sustainable Farming Fund as part of the Powdery mildew best practise project. properties of fungicides, and monitoring disease progress and spore inoculum in vineyards. Two vineyard trials were established on 3,640 Sauvignon Blanc vines at the Marlborough Research Centre during winter 2017. In the first trial, susceptibility of wounds to dieback diseases when pruning is early (early June), mid (mid July) and late (late August) is being evaluated, as well as the duration of susceptibility following pruning. throughout the year in both regions. The occurrence of PD pathogen spores was sporadic. In Marlborough during the first year, BD pathogen spores were frequently detected in high numbers in late spring and summer in Marlborough. These spores occurred less frequently and in lower numbers in Hawke’s Bay. The occurrence of ED pathogen spores was similar in both regions. These were more prevalent from mid to late winter through to early summer as well as in autumn in Hawke’s Bay. Rain events were regularly recorded throughout the year at both sites, and spores of BD and ED pathogens tended to be detected during and after these events. Analysis is continuing from further spore tape samples from both Marlborough and Hawke’s Bay. Figure 2. Grapevine trunk disease symptoms in a Hawke’s Bay vineyard. cialised by BotryZen (2010) Ltd. AMF has not been commercialised, despite its efficacy against PM in other crops. Both MZ and AMF require further PM and botrytis bunch rot efficacy data on grapes, particularly in the South Island on denser Sauvignon blanc grape canopies. New Holland is widely recognized as the world leader in specialty and crawler tractors as well as grape harvesters. T4LP – the new T4LP Tier 4A tractors are even more versatile, more powerful and efficient providing guaranteed economical power. • Fixed front axle. • 80 Lpm hydraulic capacity on rear remote (power steering is separate). • Heavy-duty front axle rated to 2,500kg. T4 V/N/F series tractors are available in three widths and sport advanced features including SuperSteer™. • 80 Lpm of usable hydraulic flow for the rear remotes (power steering is separate). • Electric remotes with hydraulic flow diverters on all three remotes. • Blue Cab™ 4 cabin offering highest level of operator protection when spraying. TK4.100M – over 90 years of experience has gone into developing today’s TK4 crawler range. Available in both ROPS and a unique in the industry cabbed version. • Excellent stability on steep or terrace terrain. • Offers excellent ground compaction benefits. FINALLY, A PROVEN WOUND PROTECTANT AGAINST EUTYPA LATA IN GRAPE VINES The ONLY organic pruning sealant on the market. Provides a natural water proof barrier against devastating trunk diseases. Great results on Eutypa Lata (grapes) and Psa-V (kiwifruit).